We are an architectural and Interior designer consultancy for tailor made services / solutions, with cost effective and on-time performance of a client-focused approach We provide time bound quality work and strive to ensure that each of our works is unique , like our client's needs are. Along with a team of experienced professionals and associate consultants, have completed a no. of interesting and challenging residential, office / commercial and institutional projects in and around Pune city We are a professionally managed , vibrant team of architects and interior designers that has crafted its way through 18 years of design, excellence and perfection, offering each client a challenging combination of imaginative solutions, expertise and intense involvement. We offer architectural visualization services. If you are interested in availing our services then please contact us we will do it in very reasonable rate and in time. We have completed projects in 7 countries to date with complete client satisfaction. 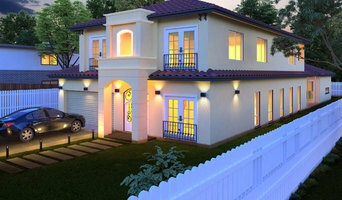 We have complete expertise in Sketchup, 3Ds Max, VRay, Unreal Engine 4,AutoCAD and Photoshop. Services we provide include interior and exterior rendering from your models, virtual reality render, Cut-Section/Isometric and walkthrough and 360VR rendering. We also Working in 4D Construction ( Modeling Facade, Structure, Landscape, Surroundings in Sketch_up) Existing Condition, Demolition and Proposed Conditions. Converting 2D drawings to 3D Architectural model. We can do modeling in SketchUp for you. Our SketchUp models will be very clean with all things in groups and components arranged in levels. We can do modeling for your facade, structural details, landscape modeling, and excavation and Surroundings. Green Hat Studio Pvt. Ltd.
TAO Architecture Pvt. Ltd. comprises a team of driven professionals passionately working to enrich the lives of clients through user-centric sustainable design solutions. Keeping to its name, the studio leads 'The Way' to a greener future, incorporating and promoting organic design principles. PHILOSOPHY The firm aims at a seamless integration of structure, interior, landscape, furniture and art into a holistic spatial experience. 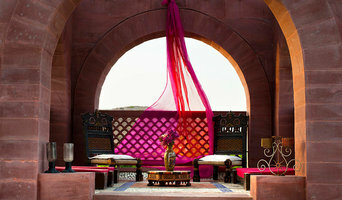 Each element is conceived as a celebration of nature's bounty, utilizing natural energy flows and aesthetics. The external environment is invited into and united with the Architecture of every project ranging from corporate to residential, commercial to institutional, and recreation to hospitality. The play of natural light, passive ventilation and elements of landscape with free flowing spaces, responsive to site conditions, creates a tranquil setting encouraging the inhabitant to be one with nature. VISION AND MISSION TAO Architecture strives for optimum comfort, respecting the needs and values of occupants through a critical application of proportion and scale, while keeping the design solution simple and sustainable. The firm has gained widespread recognition for its luxury residential projects incorporating green building principles. Our constant commitment to quality, passion for creation, and efficiency in execution over decades of earnest practice have facilitated successful project execution and long term client relations. 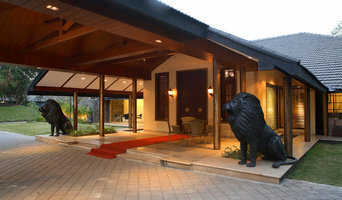 We are a young firm of artists and architects based in Pune. We aim at providing a well-designed project structure, high-quality code and believe in designing the best of spaces for our clients and making relations for a lifetime. GL Architects is an Architectural firm based in Pune since 2007. With a young and dynamic team GL Architects offers comprehensive services right from designing , statutory approvals to cost estimation and site sueprvision. GL Architects specialises in residential , industrial and hospitality sector. Studio Course | Practice - Principal Architect I Kalpak Shah We believe that architecture and design have a direct, slow and lasting relationship with the way we inhabit a space and, in-return the space and atmosphere shape ourselves. We practice to have a course of thinking that gives us a story, guideline to communicate with different aspects of design in a certain manner or system; it sets a way in which our work should progress or develop and, in this process of making, lays the answers to deal with diverse situations. Our practice driven by this course attempts to create spaces that are of lasting value, functional, minimal and beautiful. “Course” (noun) meaning: The way in which something progresses or develops. A procedure adopted to deal with a situation. The path or direction followed over time by a road, or river, or an idea. "A home is where the heart is" Getting her Bachelors in Architecture from Pune and a Masters in Architecture and Design in Sheffield,UK, she interned with international firms like Christopher Charles Benninger Associates, Pune and Nasser Gulzari Associates, London, UK . The next 5 years went in exploring architecture under her father’s real estate firm and has now gathered a sea of knowledge to start her own firm aiming to create a very focussed boutique office for residential, commercial and interior projects. She believes in detailed study and analysis. Our studio provides a full scope of services: feasibility studies, architectural design , interior design and furnishings, site planning, Liasoning guidance and schematic landscape planning. Our studio reflects and shapes our attitude towards our work. 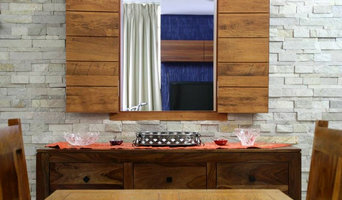 We have organised our office to maintain a personal, craftsman-like connection throughout the course of design and construction. We listen carefully to clients; we appreciate traditions but look at each project freshly in its own right; and we stay at the cutting edge of twenty-first-century building technology and design. Architecture and Design Studio undertaking Design Consultancy and Project Management for all residential, commercial, hospitality and educational sectors. We are a strong team of qualified, experienced, dynamic professionals, with the right zest for fun, responsibility and trust. Our goal is to create work that is honest. The design processes are a blend of the traditional and modern techniques just like our creations. Our concepts are woven through mediums of sketches, drawings, crafts, computer graphics and we absolutely don't mind getting our hands dirty on site if need be. With the right attitude and focus on every minute detail of the work process, we are committed to perfection of the end product. We pride ourselves as a strong combination of creative excellence and diverse local and international experience. SPA is dedicated to environmentally friendly sustainable architecture and to bring the client's dreams and aspirations into reality. Since the inception of the firm in the year, 1994 SPA has developed into one of the innovative and respected firms. SPA has completed numerous versatile projects which include Public Buildings, Hospitality, Townships, Commercial Complexes, Institutional Blocks, Villas, Interior designing etc. SPA is also known for its innovative use of materials and has been pioneer in introducing new materials. Care for the nature, people and the society as a whole is one of our prime value which is demonstrated in all our projects and our lifestyles. Our creative designs are complemented by our prompt and quality project management. We approach our designs from different perspectives which enable us to innovate, make optimal use of the space by blending together two core necessities of a world-class design; creativity and modern technology. ABC is an Architectural and Interior Designing consultancy firm. Our focus is to create spaces with adorable appearance with smart utilization of area and we work up to client satisfaction. We have skilled, self motivated and innovative team to full fill client dreams with creative and cost effective solutions. How do I find the best Pune architect for my home design or renovation project? When building or renovating your home, you don't simply hire an architect or building designer — you build a relationship with them. Be sure you chose a home architect who will be involved in all phases of the design process, from the initial concept to the completed construction. Architecture is an incredibly technical profession and one where getting things wrong can literally put lives at risk, so ensure you hire a professional with a valid license or an architectural firm to maintain high quality and standards. Your next consideration will be architectural style. Some residential architects specialise in designing traditional homes or farmhouses, others in designing modern replicas of traditional homes. While a few have a knack for imagining bolder, more futuristic architectural design in Pune that incorporates the latest technology. How much does hiring an architect in Pune cost? Home construction and renovation often have a preset budget and hence it is important to understand how much architects charge. While there is no set payment structure, independent architects may charge differently from architectural firms. Architects sometimes choose to calculate their fees on the basis of a per square foot rate. In rare cases, especially with smaller projects, Pune architects may choose to ask their clients for a fixed fee. Make sure the total figure and payment schedule is agreed as part of your contract, particularly if you are trying to accurately estimate the cost of building a house. 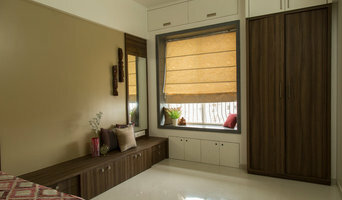 Find a home architect in Pune on Houzz. Narrow your search in the Find Pros section of the website to Pune architects. You may also look through photos projects to find building designers in Pune who have worked on a project similar to yours.